Welcome to Buco Welcome to Buco Let's Build Together! Follow us on Twitter for the latest hardware and buildware updates! Ever looked at décor magazines and wondered - How to light a room like that? Having just the right lighting can really change the atmosphere of a room, but lighting design can seem daunting to even the more avid DIYer. In this article we’ll shine some light on the best ways to make each and every room in your house feel inviting. The intended use of the room should be your key factor when planning the lighting and atmosphere you want to create. Think about what the room will be used for. Will it be used for cooking? Watching TV? Doing homework? For example, if you want a better night’s sleep, avoid exposure to blue light in the bedroom. 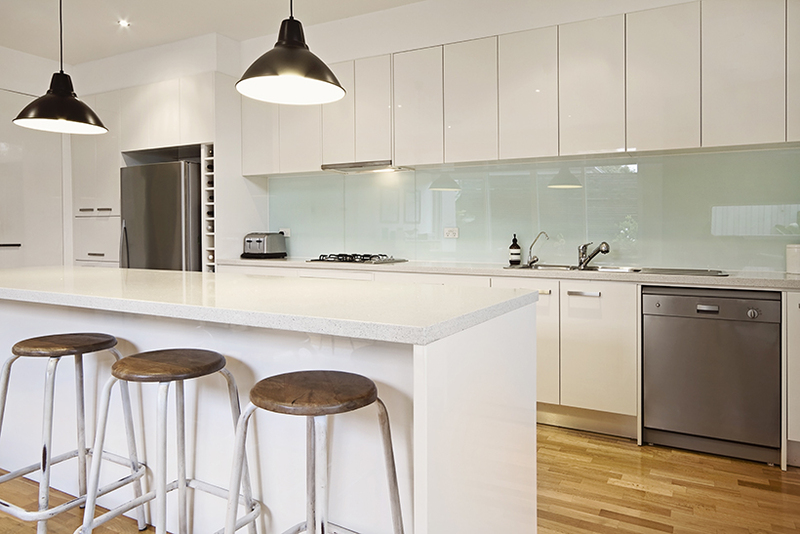 Kitchens on the other hand, will benefit from both ambient and task lighting. Now, let’s consider different rooms in more detail. In the dining room an overhead light with a dimmer works best – this will allow you to control the atmosphere, from a cosy dinner for two, to more well-lit affairs. If you’re using track lighting, always adjust the focus of each light so it won’t bother guests by shining directly into their eyes. Kitchen lighting is more complex but get it right and you’ll never look back. Start by pinpointing your work areas and light them directly. Ideally lights in working areas should be below eye level - to achieve this you can set up task lights under the stove range or cabinets to light countertops. 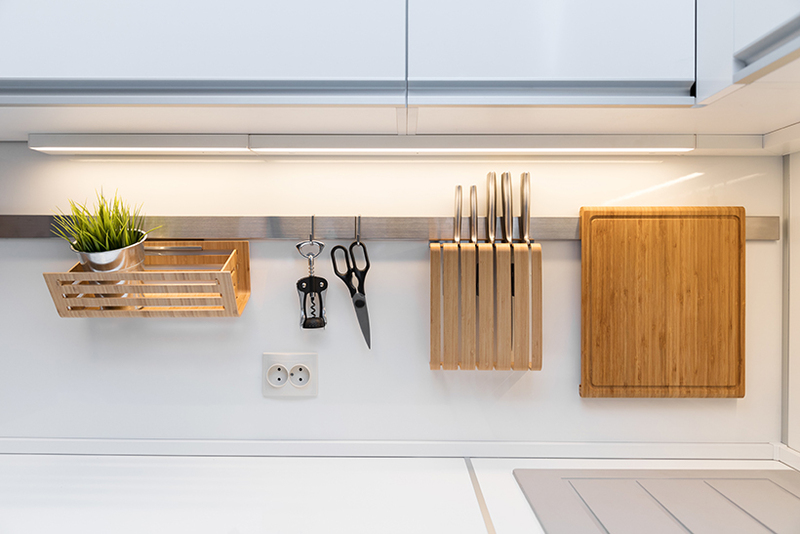 Under cabinet lighting can provide both ambience and illuminate specific work areas in the kitchen. Consider the lighting as part of the décor. In living rooms it’s best to use a combination of floor lamps, table lamps and down-lights – this will help you manage the atmosphere for different social gatherings and at different times. If you watch TV in the living room, avoid television glare by choosing and positioning the surrounding lights carefully. 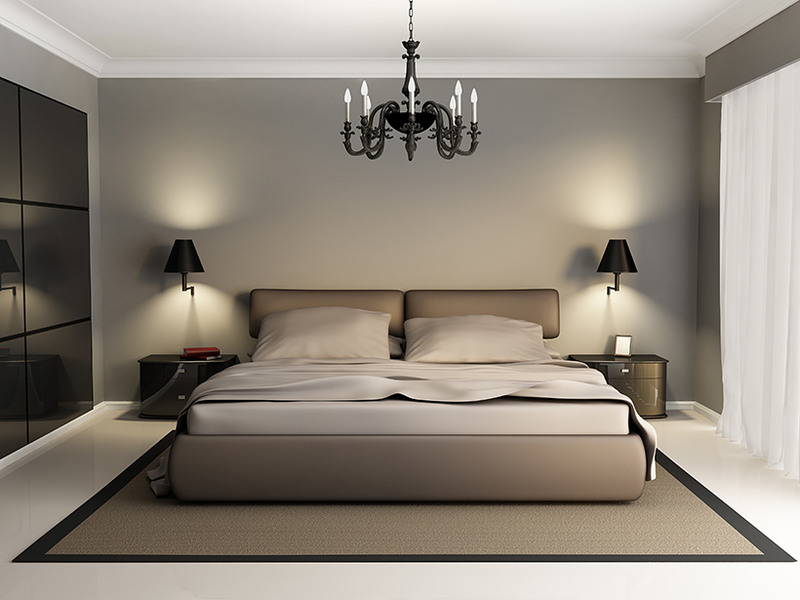 Master bedrooms should feature good reading lights at the bed and desk, with a task light for getting dressed. Any overhead lighting should be fitted with a dimmer. Try to avoid bright lights and lights with blue undertones - instead choose a light bulb with a low colour temperature, such as warm white, for a soothing and welcoming atmosphere. Bathrooms are generally trickier to light because there are different function zones, and the key here often comes down to personal taste. Do you need a well-lit bathroom vanity area, but prefer more soothing lighting above the bath area to encourage relaxation after a busy day? 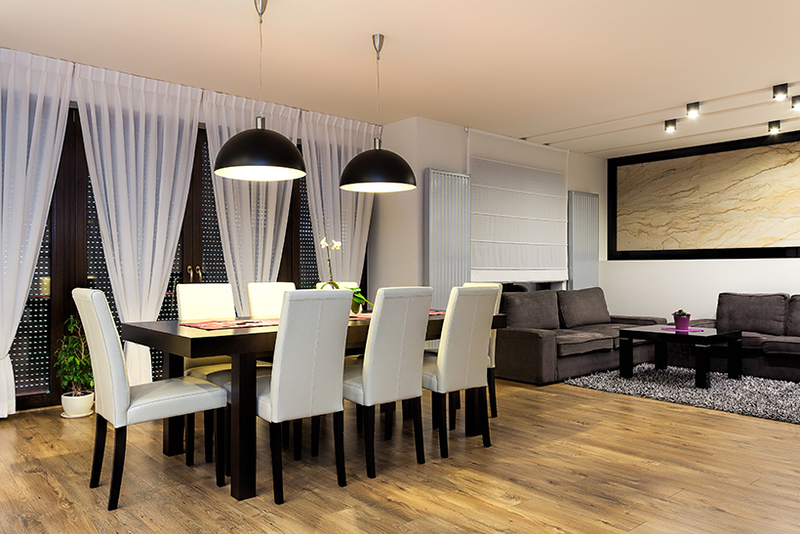 Lights with separate dimmers can offer both utility and atmosphere. 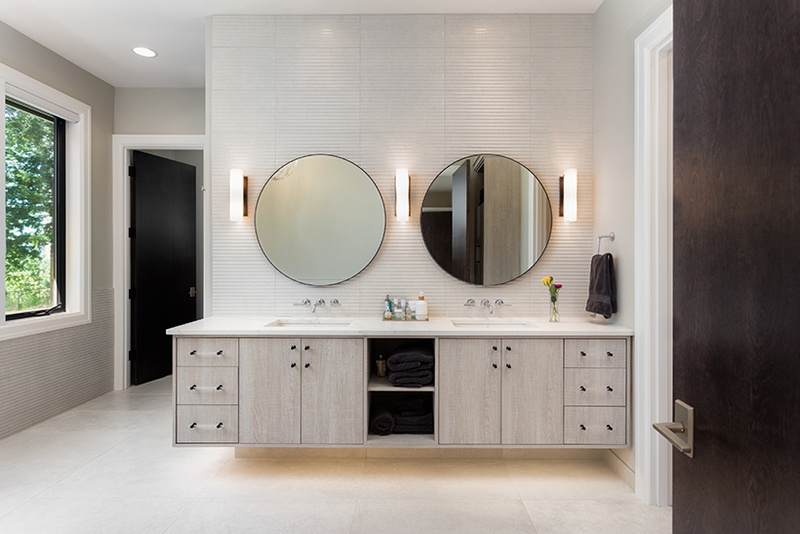 Instead of having a light directly above the vanity mirror, add sconces mounted at eye level on either side to provide even shadow less lighting. If you treasure your bath time ritual, then why not add an element of luxury with decorative lighting in strategic areas? STILL UNSURE? BELOW ARE SOME MORE HELPFUL TIPS. 2. HOW TO STRIKE THE PERFECT BALANCE. Contrary to what you might think, you do not have to light the entire room. Instead it’s better to incorporate different points of light. Imagine the room divided into different zones. Do all areas need to be lit equally? Doing this will help layer the room with light. An easy approach to achieve this is to choose a light source and then determine how to diffuse the light. When diffusing lighting the right lampshade can make all the difference. 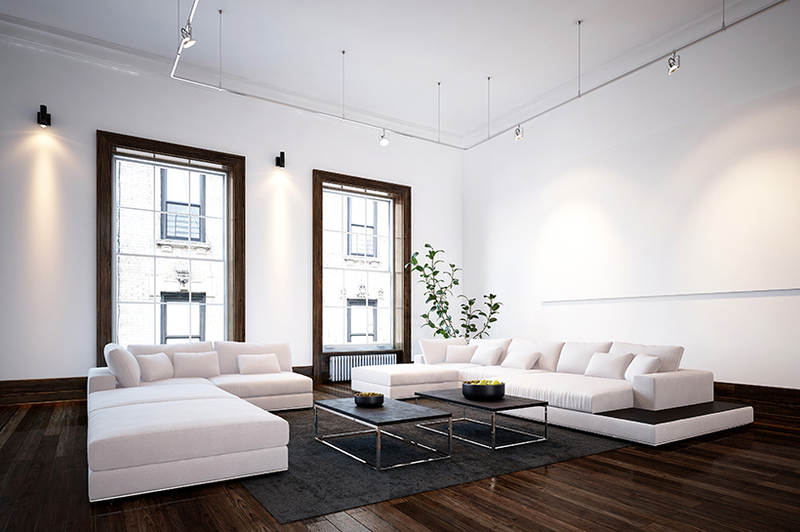 For multi-purpose rooms, dimmers are essential. Not only do they save you a ton of electricity, but they also allow for flexibility depending on the time of day, event, or your mood. Installing a dimmer can also help lengthen your light bulb’s lifespan, making it a worthwhile investment. 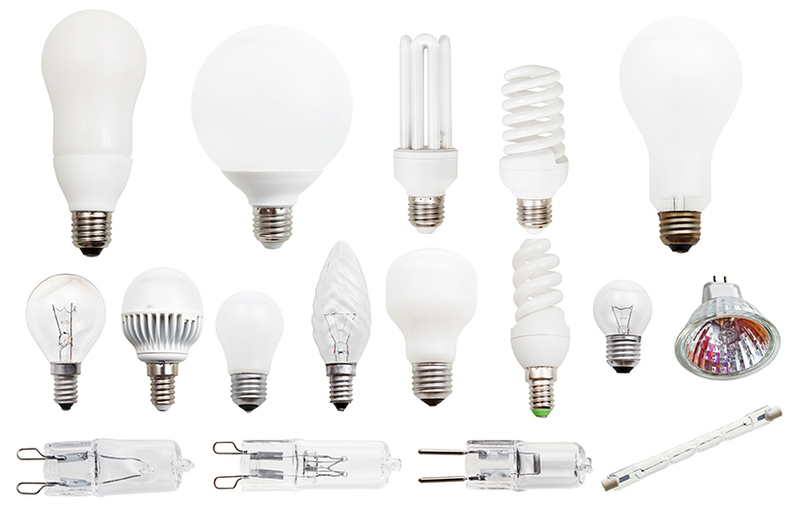 Knowing which bulbs to use can be the difference between success and an unwelcome shock. If you’re in the market for new lights, we recommend avoiding fluorescent tubes, because they make everything look off colour and can lead to fatigued eyes. Energy saving LED light bulbs have a long lifespan and are friendlier to both your pocket and the environment. We recommend that you use a licensed electrician to do all the electrical work. As for the rest, simply head down to your nearest BUCO store and we’ll get you sorted. Not only do we have everything electrical you need, but we also have expert advice to help get your house lit in no time! Click here to find your nearest BUCO. WANT TO RECEIVE MORE INFORMATION LIKE THIS AND UPDATES ON SPECIALS AND PROMOTIONS? Subscribe to our newsletter for updates & specials!